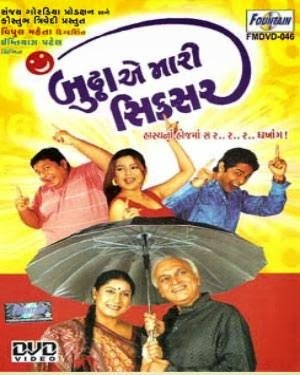 Watch online Gujarati Natak and Movies. 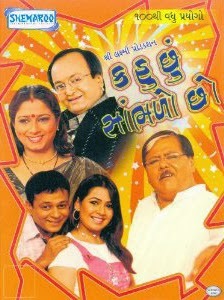 A wide collection of Gujarati Jokes, Comedy Natak, Drama, and Gujarati Gazal, Dayro, Shayri and many more. The plays theme concerns the generation gap between mother and daughter. Professor Jyoti (Ketki Dave) and her teenage daughter Jwala (Riddhi Dave) have one thing in common – they don’t relate to each other and do not see eye to eye on any issue. 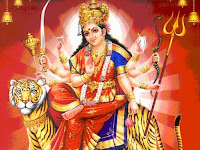 Jyoti for instance does not like her daughter?s boyfriend while Jwala does not appreciate a close family acquaintance and a well-wisher called Bakul coming to their house. Jyoti has lost her husband whose picture frame hangs in the living-room of the house. Later she is encouraged by her father-in-law (Utkarsh Majumdar) to marry a colleague of hers who is an Economics Professor (Dilip Rawal). After one particular explosive moment between Jyoti and Jwala, a little mystic mayhem caused by Jyoti?s late husband changes their lives. They wake up to find that their souls have been swapped! Jyoti finds herself like Jwala and vice-versa. 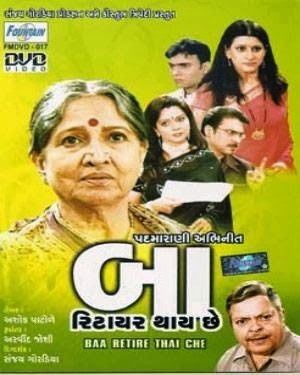 A household drama at which, a Baa (Grandmother) provides observed lots of difficulty in life, for looking after her family members and also leading all of them up. Look out for this compelling impressive family drama and take pleasure in! Summary: It is a familly drama when a BAA (MOTHER ) did lot of hardship in life,forgeting her ambition,to take of his familly and at old age when there kids started hiding the thruth and take side of there wife and started listing to there wife and neglecting there mother then BAA take a final step to RETIRE from his Familly. Synopsis: This is the way of life that everyone has lots to say to others, but they don't listen to what others have to say to them now days. World has become so materialistic that everyone is busy showing off & same goes to this family. Every member of this family portrays a different character in itself. So enjoy this comedy drama with Sanjay Goradia & Arvind Vekaria. Jeevan Jeevani is a cynic suffering from obsessive compulsive disorder. He is a cleanliness freak who carries his own cutlery and crockery to the restaurants when he eats out. Jeevan's nephew is trying his best to find a cook for the house, but the eccentric uncle has rejected more than 100 candidates! In comes Lajo Ben, a widow and an amazing cook. She has great sense of humour and an ability to laugh at all of life's difficulties. In dire need of money, Lajo signs a deal with Jeevan's nephew and enters their household as a cook. Lajo easily manages to overcome the difficulties created by Jeevan's cynical demands. In the process, Jeevan falls in love with her. But it isn't going to be such a smooth sail for Jeevan; he now needs to clear the ultimate test posed by Lajo. Watch this madcap comedy to find out what becomes of Jeevan in the end.